They Got Me Over A Barrel: "Local pubs still have a bright future despite rising numbers of closures"
"Local pubs still have a bright future despite rising numbers of closures"
In IFA magazine "IFA Magazine simply exudes quality"
"IFA Magazine, web site and media content is intended solely for professional financial advisers only. No other persons should rely on information contained within." It is clear from the way Shepherd Neame treats its tied tenants that Neame is here for the long term only as far as his family and shareholders are concerned and not for anyone else. Last of all the consumer. This 'family brewer' (er, Plc) exhibits the behavioural hallmarks of a personally disengaged arms length acting sociopathic behemoth. They make profits alright - but at the expense of character, individuality and personality at any level in the retail facing part of the business. At a managed estate level their beers are boring the pubs are anodyne and the produce they handle and serve is not quite what they hope to promote as bespoke produced in the pub kitchens, coming fresh from the Garden of England. Rather, as numerous sightings of passers by of Shep's pub deliveries report, their wares are sourced at the 3663 catering wholesale warehouse. Not that there's anything wrong with 3663 intrinsically, it's just pushing the notion of home cooking using veg from the back garden and animals stroked by the milk maid a bit too far. 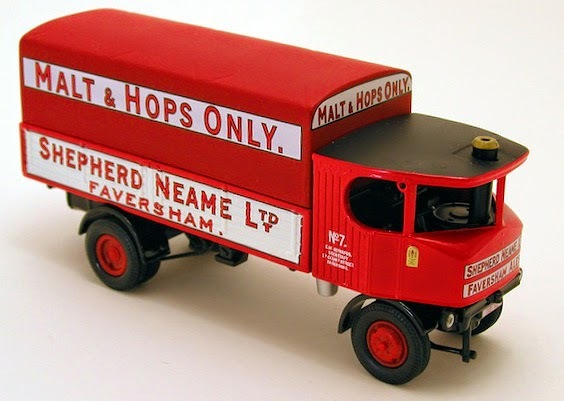 Unbelievable but true - Sheps charge their own tenants MORE for Shepherd Neame beers than the notoriously usurious non brewing tied pub co's, like Enterprise Inns and Punch Taverns, sell Sheps to their hard pressed penniless tenants.